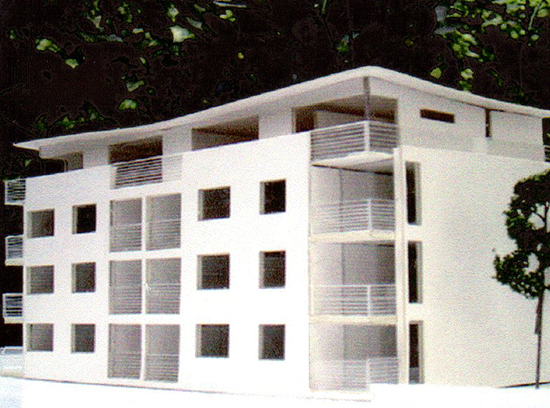 A proposal for a 4 storey, 12 apartment new-build development on a former factory site in Haringey. The site was purchased for £300,000 giving a plot value of £25,000 per apartment. 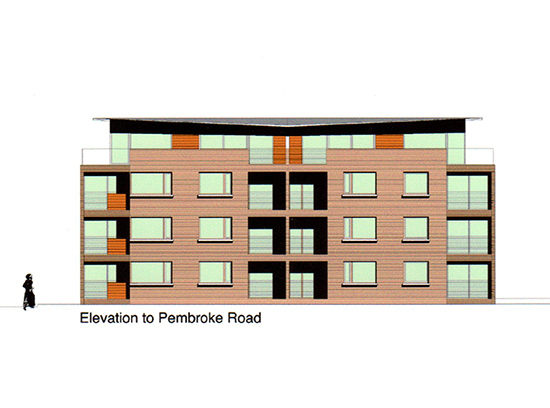 8 2 bed apartments and 4 3 bed maisonettes are proposed, each with family sized balconies or external roof terraces. The building was clad in 2 colours of brickwork with a zinc roof and infill timber panels to the penthouse apartments. Each living room was to have floor to ceiling sliding doors facing onto a balcony maximising space and light.